EA Sports has confirmed the FIFA 17 title and it will be officially released on Tuesday, 27th September 2016 in north america and two days later on 29th September 2016 worldwide. The announcement was made with the launch of official fifa 17 trailer. The game will be officially released on all the consoles including old gen Xbox360 and PS3 but with slight difference compared to Xboxone and PS4 version. EA Sports also announced that they will ditch the “Ignite engine” and will be putting together a total overhaul of the game from gameplay to the graphics and if you take a closer look at the FIFA 17 official trailer released you can get quite a few changes made in the game. EA Sports will officially launch FIFA 17 in north america on 27th September 2016 while UK/Europe and rest of the world will get the game two days later on 29th September. FIFA 17 Demo: EA Sports will release playable demo for FIFA 17 on 06 September 2016 on Xbox One, PS4 which will available to download free. 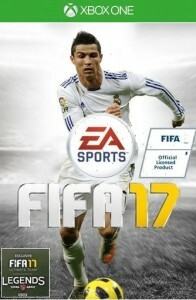 Traditional EA Sports has always released a playable demo atleast two weeks before the official launch of the game. Last year FIFA 16 demo was released exactly two weeks before, last year demo was released on 08th September on both XboxOne and PS4. No word has been out from EA Sports camp so far but some trusted sources has claimed that the marquee feature in FIFA 17 will be the all new “story mode”. 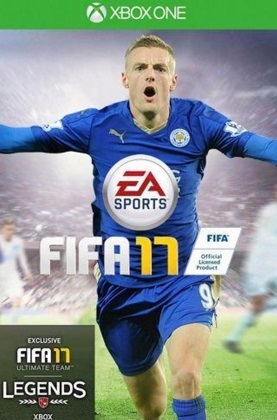 The last major overhaul in FIFA series came back in 2012 when “Ultimate Team” mode was introduce and although all last three titles have done great in terms of financial and commercial success it is about time EA Sports give the fans something new to keep FIFA the best selling video game year after year. FIFA 16 got massive upgrades both in terms of graphics and gameplay compared to the previous editions. There were number of glitches specially in the online play but EA Sports released couple of updates which pretty much fixed small issues and made it a pretty solid title. Now this is the time of the year when FIFA fans start their wishlist for next edition and rumors start flying when the will the next game will be released. Once we have any news about FIFA 17’s release date or any features details we will update right here.